Thank you for your request. 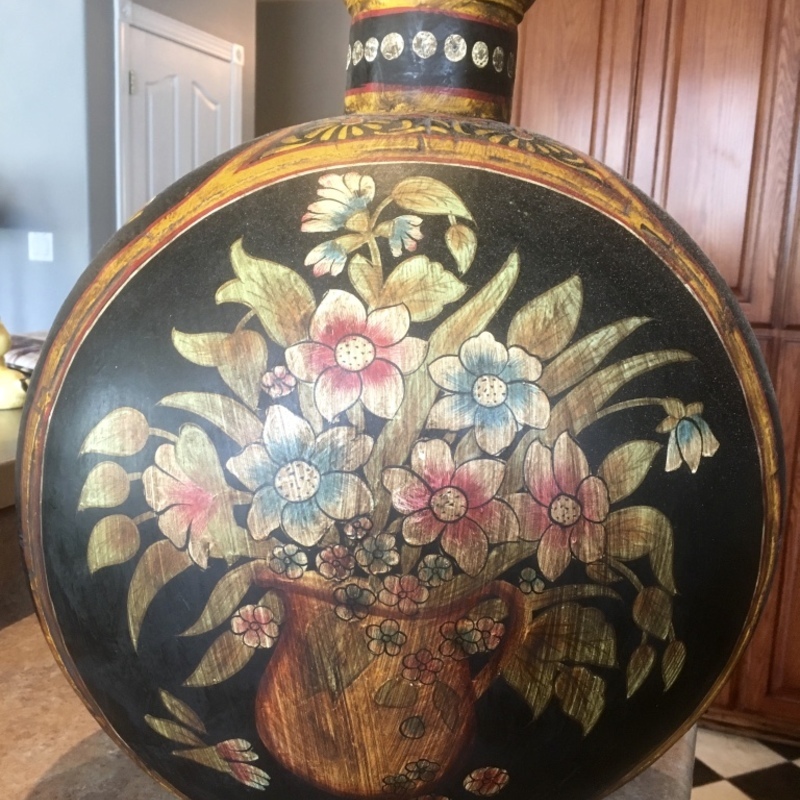 The presented object is a vessel with a flower bouquet decor on a probably metal body. It has measurements of 20.5 x 16 inches. The surface is artificially aged with a brownish color. This piece was made in the late 20th or 21th century for decorative purposes. An estimation would be between 20 to 40 USD.